The PAL team felt there was a need to conduct targeted outreach and campaigning efforts calling for veganism to support animal protection. There is a common misconception that veganism is void of healthy nutritional sources. Local vendors held similar opinions, making the PAL team realize that humane education, public awareness campaigning, and private sector dialogue need to be based on accurate knowledge. This includes public/vender opinions, levels of knowledge, and market information. The Palestinian population is made up of 52% males and 48% females with the largest age group being 20-22 years old. This demonstrates that Palestinian youths have influence, and they were the targeted group for our study. 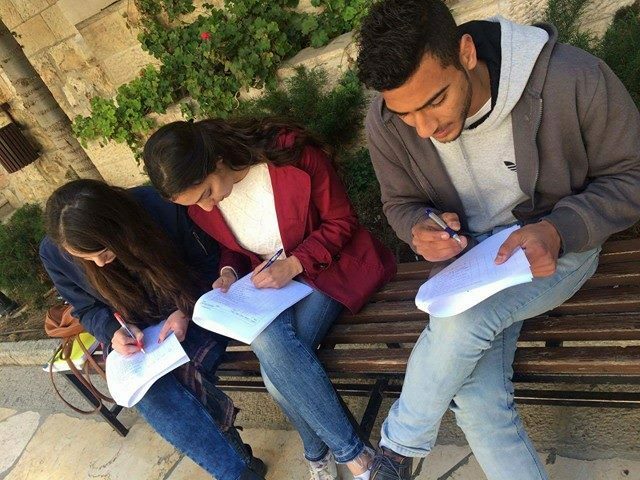 Three main universities were sampled including Al-Quds, Birzeit, and Bethlehem, in which 48% of students reside in cities, followed by 46% in villages and 6% in refugee camps. Religion was the first subject we studied because some religious people have extremely conservative views regarding veganism. With our survey, we found that 60% of respondents are semi-religious. 40% of the students strongly disagreed that eating meat was forbidden by religion. Similarly, most disagreed that being vegan would conflict with religion and 48% of the participants strongly agreed that animal care is a religious responsibility. Differing religions highly value animal welfare and the merciful treatment of animals, which might also be considered a religious requirement. From these results, we discovered that the presumed conflict between veganism and religion is not accurate. Rather, we found the opposite view and that veganism is supported even within the context of religion. A plurality of students (36%) strongly disagreed that animal welfare is a foreign concept. However, when asked if society belittles the importance of animal care and welfare, 43% agreed with this statement. This indicates that society plays a role in reducing actions taken towards animal protection, even if the concept is not foreign. The participants’ empathy was tested when asked if animals feel pain, fear, or joy. With each of those questions, the majority agreed that animals do have emotions proving that the Palestinian society does not lack empathy. It lacks action towards taking the proper steps needed to care for animal welfare. 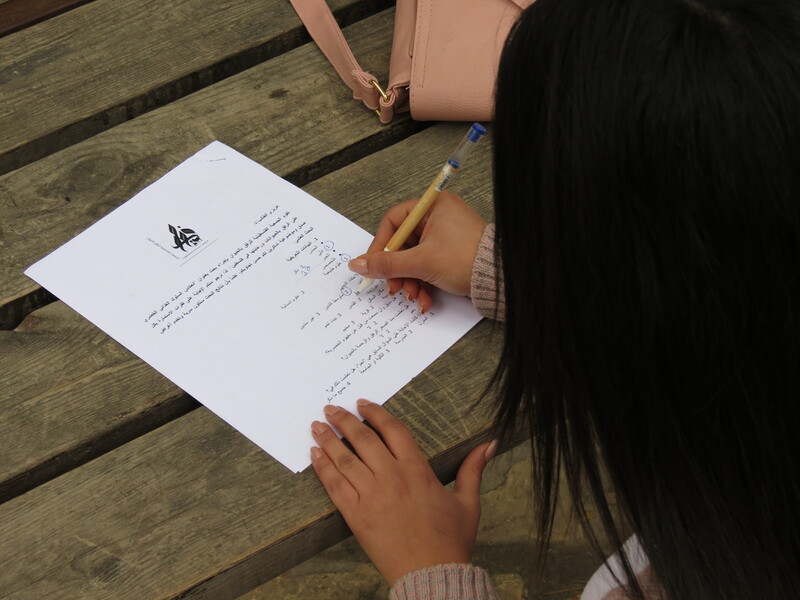 43% of the students took a neutral stance when asked if the Palestinian society cares for animal welfare. This, combined with other answers, suggests that this age group cares about animals, but does not have the resources to support animal welfare. However, motivation can still be found regardless of the situation. When asked if the participant would intervene or prevent harm done to an animal, 47% of students agreed. Similarly, 53% strongly agreed that they would interfere and advise the harmer to stop harming an animal. The feasibility of improving animal welfare was tested by asking if taking care of animals would be possible. 41% of the survey’s participants agreed. The advantages of caring for stray animals include being provided with safety and security for society members and 41% agreed with this statement. This feedback suggests that there are no disadvantages to taking care of animals and supporting them. There is no lack of motivation or compassion. The only thing needed is to take action on a societal level such as laws and governmental support. The participants were also asked about vegan foods and dietary change. 37% of students were neutral when asked if vegan food has better economic feasibility. As shown in the pie chart below, 23% were neutral when asked if they would change their eating habits to give up meat. However, 37% of the participants strongly agreed that they have knowledge of vegan foods enriched with beneficial and necessary proteins. A majority of 30% of students were neutral when asked if vegan products are alternatives to meat to provide daily nutrition for the body. There is a lack of knowledge and awareness on this subject. Neutrality often corresponds to not knowing whether to agree or disagree with a statement. Through our events and organization, we will focus on this issue and seek to increase awareness. 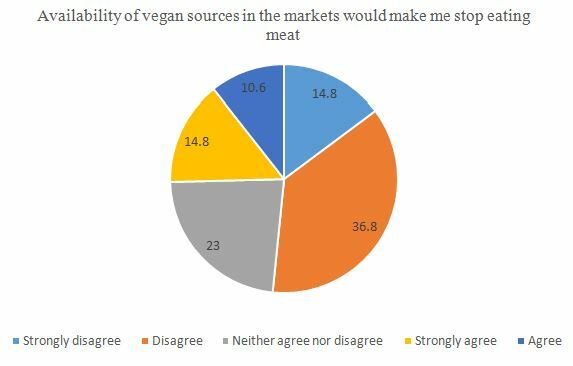 37% of students disagreed with switching to alternative products and felt that available alternatives were not a convincing enough reason to stop eating meat. Veganism is relatively unfamiliar as only 27% of the participants have a family member not eat meat. In fact, 37% of students strongly agreed that it is familiar and common for their family to consume meat and animal products. The idea of having a vegan family member or having available alternative products in the household is extremely rare. 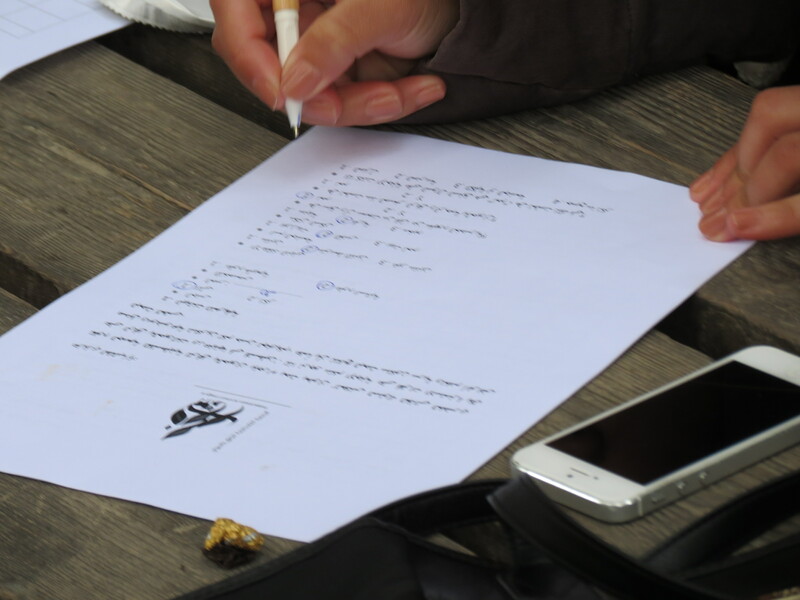 The survey’s results show that awareness is the most important factor when promoting animal welfare and veganism in Palestine. This will lead to thinking about how to convince the business community to import more cruelty free alternative products. 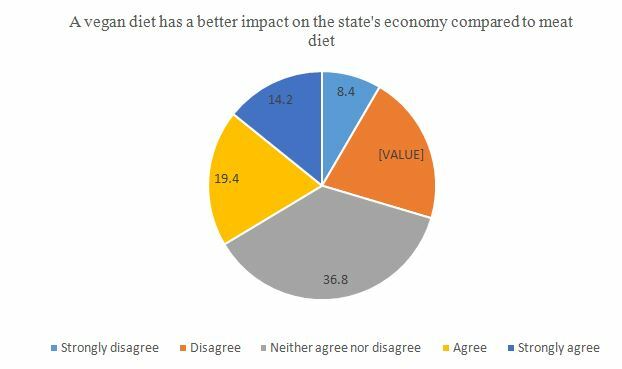 Although the survey’s participants were neutral on the economic benefit of veganism, as illustrated in the chart below, change will arise once products are available. Greater accessibility will make the option of Palestinians transitioning to veganism much easier. This would occur on the external and community level. On the internal organization’s level, it would make us think about our duties to focus on awareness to reach the largest possible audience. We think people are ready for a change and just need more awareness and education on the subject. It is crucial that our mission to support people’s change to veganism is considered a right of choice not restricted by religion or any other factor. Meat can be dispensable and replaced by other alternatives. It is often thought that veganism is just a dietary change. However, it is a way of life concentrating on values such as the lack of violence towards others, not using animals for food or clothes, and many other aspects.  Enabled by the constant support and guidance from Faunalytics, we will be able to build our strategic message in the coming years and benefit the Palestinian society with our study. For those who would like to review more details on this survey conducted by PAL, please download this pdf file .